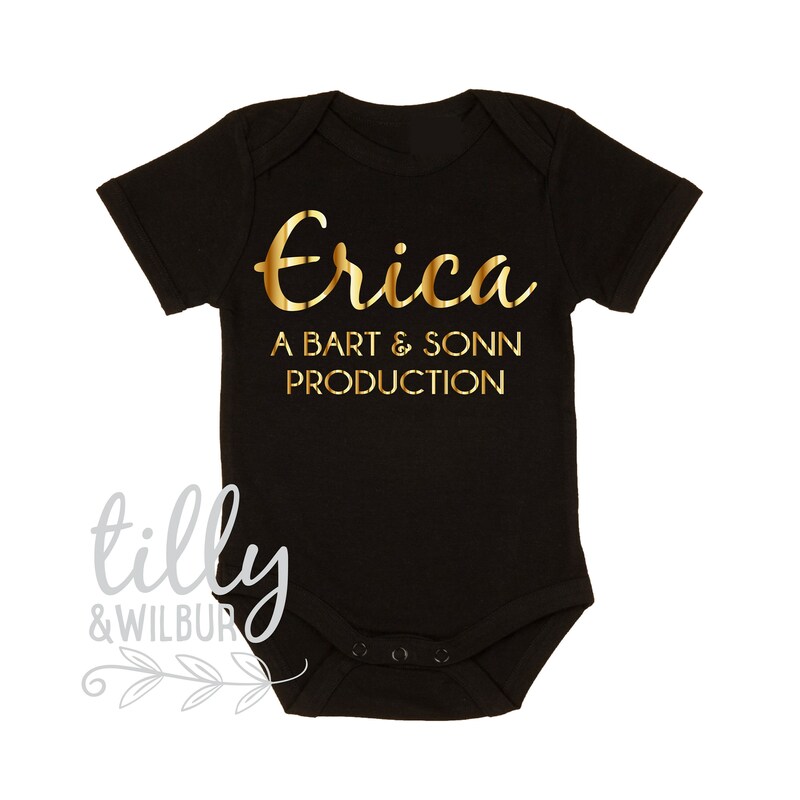 This "Production Of" baby bodysuit makes a perfect personalised gift for little girls and new arrivals - printed with both the name of the baby and the parents names in mirror gold. The 3-snap short sleeve bodysuit is made from quality cotton in black with an envelope neck and triple stud closure for easy change times. Love these items! Will definitely purchase from Shanona again. Awesome to deal with! Super fast delivery.